Etisalat UAE has various offers for eLife subscribers. Being a eLife subscriber you can get many benefits such as free connection, free 3 months/6 months usage of certain services, free national and international calls, free tv packages, free upgrades, free hotspot hours etc. In this section I am refering only to the eLife offers (fixed connection), not mobile and other service offer. When Etisalat started fiber optic based eLife services, they provided various options such as free installation charge, first 3 months free services, discounted monthly charges, discounts on various services for double play services especially for both existing and new customers. 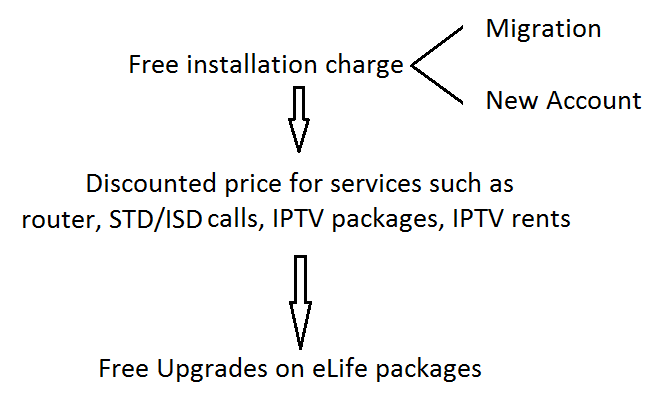 The Internet speed introduced was 8,16,30,40,100mbps with one landline connection and of course the IPTV also as upgrade. At that time, there used to be one free additional landline number for 30mbps triple play subscribers. Etisalat has really worked hard to lead the telecom sector and now it has established UAE as successful fiber optic networked nation. They are trying their best for establishment of infrastructure, its maintenance and upgrades. They have spent lots of fund and efforts for brand recognition and representation. Being Etisalat subscriber I feel happy about its services but still there are things, the feedback from Etisalat customers like me, which I read in comments of my posts. Most of them are regarding the offer. So here are few things I am going to tell you how to help yourself from Etisalat offers. If you simply say YES or OK over the conversation without cross checking, then you are done. Believe me the word free sometimes or most often becomes free speech. You know company have right to sell their product, increase revenue, sometime use hook-and-switch policy like Facebook Terms and Conditions. Take care about that. I am getting calls from Etisalat, What should I do ? Keep calm, listen them carefully. If you have doubts, you can request them to send email (in writing) about the offer. You can accept offer, if you are convinced, people have choices. 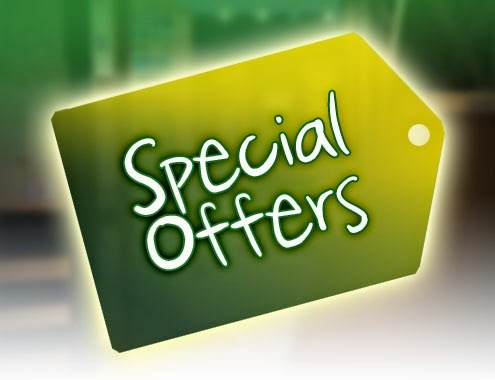 Check website, call 101 and ask the detail about on going offer. Please do not forget to ask underlying hidden charges. Record your calls if possible because Etisalat will ask you to provide the call timings. There are always multiple views of single matter. Sometime you will get helping hand sometime you will be cheated. Nobody can guarantee the pattern of human nature. Some people have wrote me that Etisalat sales representative had called them, told about offers even after cancellation of their eLife service. You might be thinking that you can easily cancel the upgrades, add ons or offers but my friend before doing that you should thoroughly read the terms and conditions. There is no need to be emotional about their requests. A successful salesman is one who can sell combs to balds. Don't be serious, be sincere about the offers, about repeated request, about the FREE word.